I have a friend who makes beautiful jewelry and accessories with beads. Throughout the year, she travels to bead shows in our region. For several hours, she shops each show for beading materials. As much as I love jewelry, you’d think I’d be relatively sharp about beading. I am not, however. In fact, I know very little about the art and business of beading. 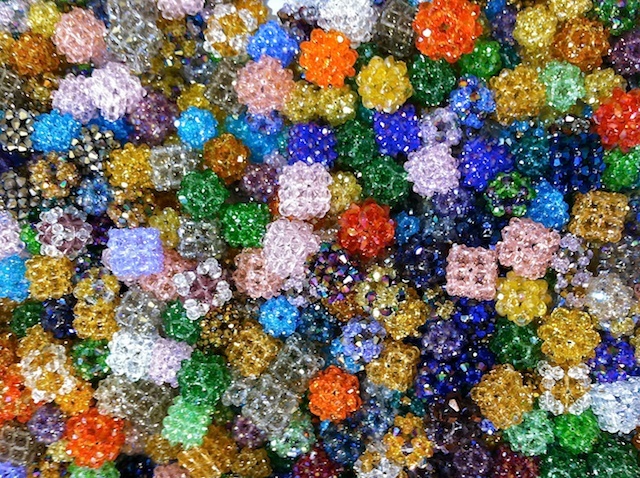 So, it was a delight when my friend invited me to join her recently during one of her bead show adventures. It was a smaller show, she said, a good show for a beginner beader. Looking back on it, it is easy to understand how a large show could overwhelm someone unfamiliar with all the choices! 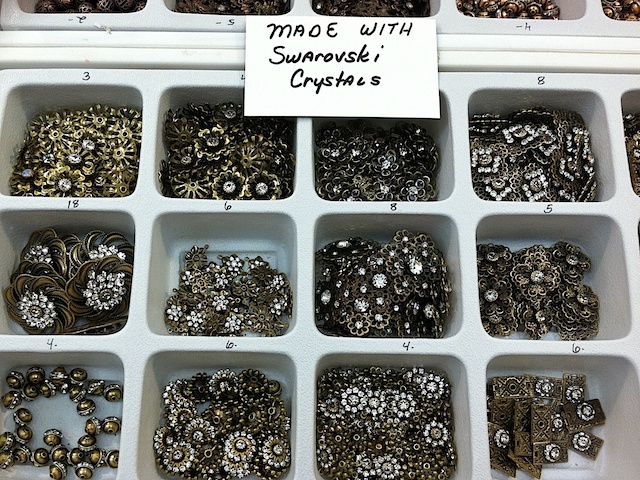 Now, during the past few years, my stint as jewelry editor for Suite 101 compelled me to learn a little about beads. In fact, I’ve enjoyed reading Lois Sherr Dubin’s marvelous, iconic book, The History of Beads (Abrams, New York), as well as other books and online articles on the subject. 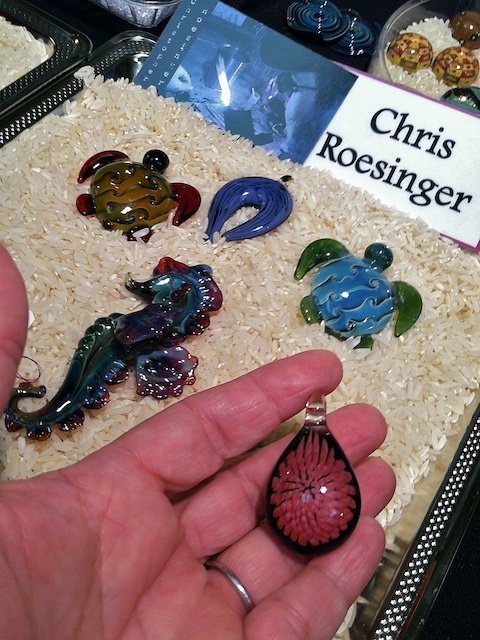 And one of the things I do know about beads is that there are extraordinarily talented artists who handcraft beads and that these collectible pieces may be found at bead shows. So, I was on the lookout… of course, I found something special, but that is for another post! 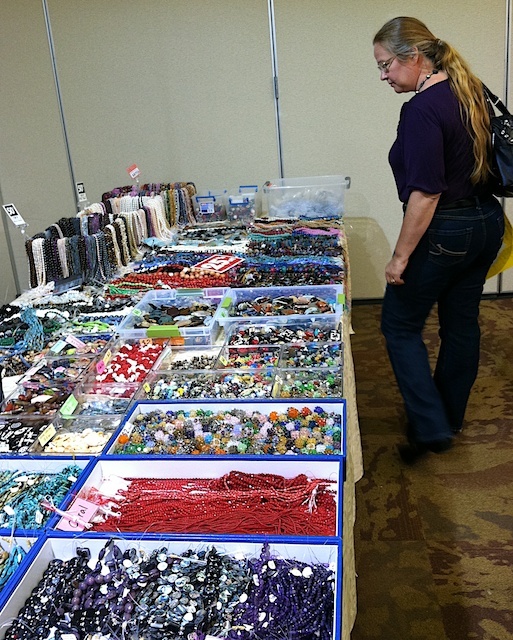 When I first walked into the bead show, one thing was obvious: a bead may be made from just about anything. 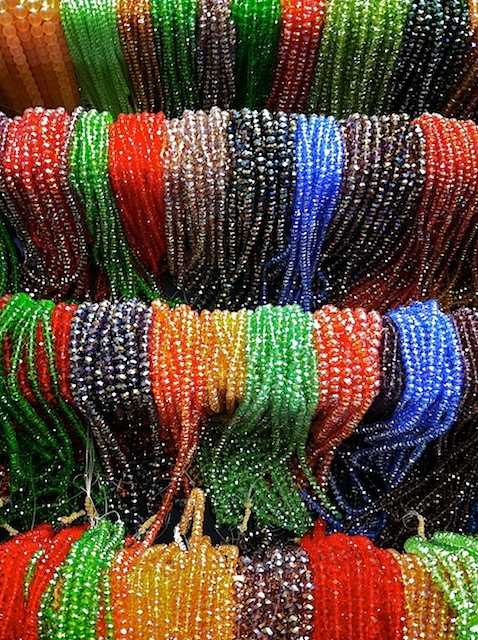 Historically, the first beads were made from seeds. And there were seed beads at this show. 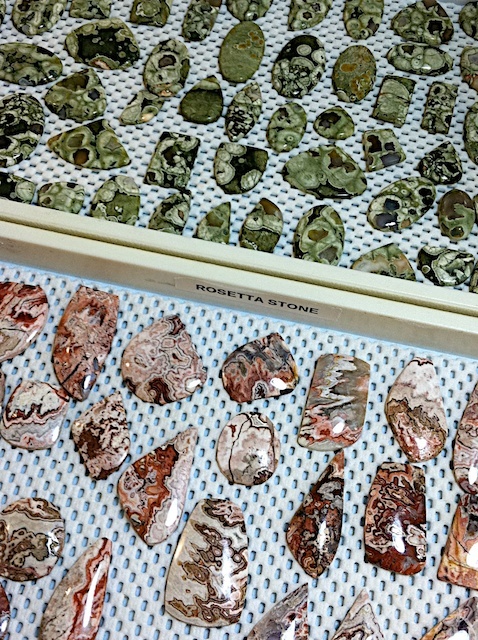 But also, there were beads crafted from minerals, metals, paper, acrylic, glass, clay, polymer, rubber, plastic, and more. 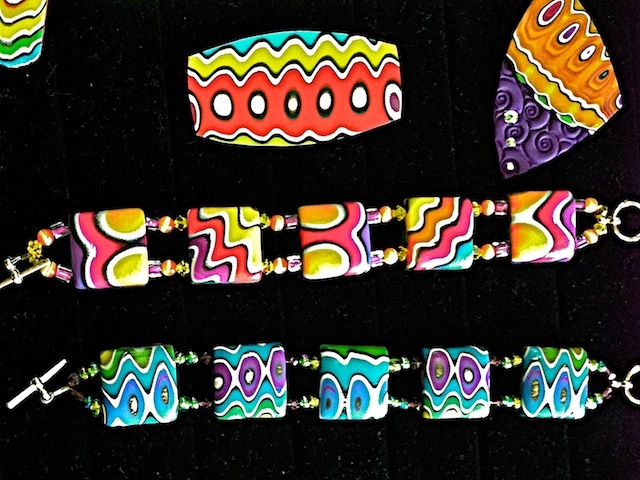 There were decoupaged beads, sliced-stone beads, and glass-blown beads. Overall, my favorites were the lamp glass beads. In addition to the beads and raw materials themselves, there were jewelry findings, chains, colored wires, cording and other materials with which to craft personal adornments. 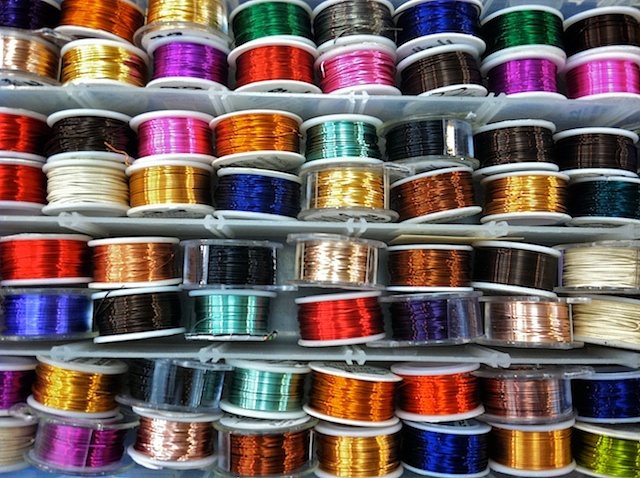 Now, as my friend has been beading for years, she knows her materials and she knows what her future jewelry components should cost. “Don’t buy those,” she warned while nodding to a table near the entry, “they are way overpriced. I’m sure someone else has similar wares for less.” We moved on. And she is always mindful of the return on investment for potential sale pieces. Accordingly, my friend first canvassed the entire show before making very savvy purchases, both in terms of eye-appeal and price. 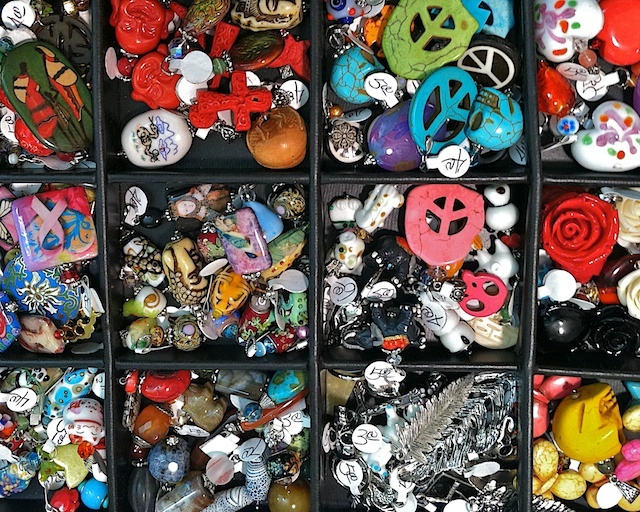 After visiting a few more bead and jewelry shows, this summer, she’ll spend several weeks making beautiful jewelry… most to sell during a local, autumn craft show to benefit charity. Some more baubles will be for gifts, and a few trinkets will be keepers for herself… the jewelry pieces I’m sure to gawk over when I see them finished! Working-with and collecting beads is something anyone of any age – from toddler to octogenarian – can do, as a hobby, business or both. 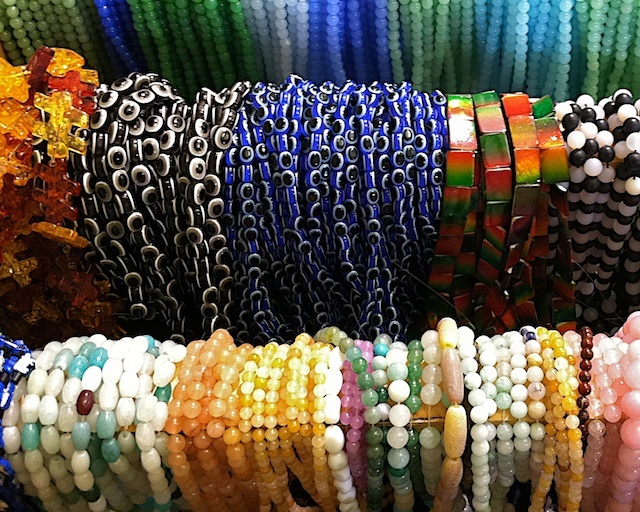 Whether making beads or stringing beads, it doesn’t have to cost more than a few dollars. And the creative possibilities are endless. Moreover, the potential to create and collect very personal objects is quite seductive.